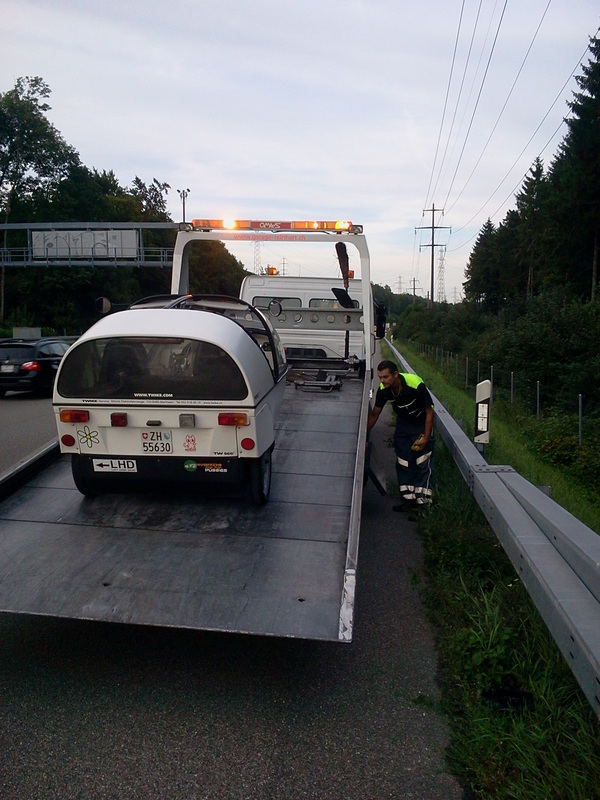 driving from berne to zurich on the A1 motorway, cruising at 95kph behind a larger truck, the TWIKE suddenly starts to roll precariously. for a quick moment it feels like strong sidewinds hitting the TWIKE. 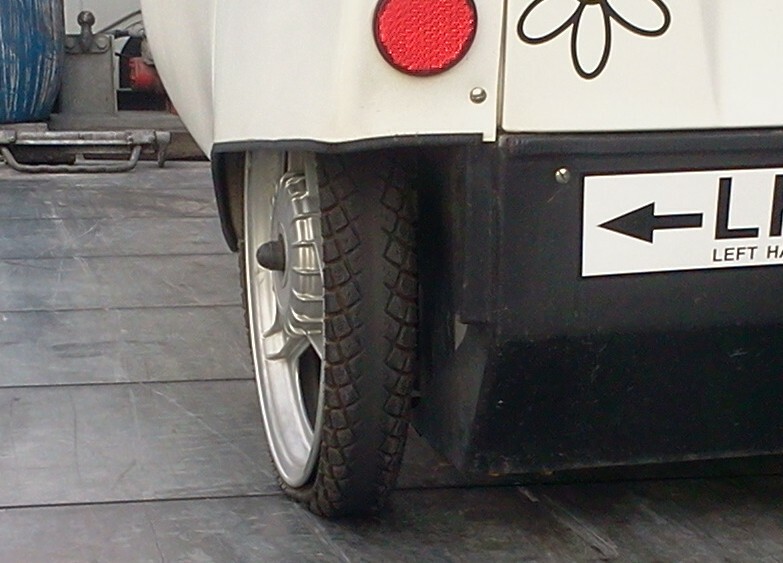 but then, normally, sidewinds make the front part of the vehicle move like this, not the back. seconds later things get *much* worse and i decide to pull over and check what the problem is. well, even for the untrained eye the problem is very obvious. a flat tyre! i had scheduled an appointment for the following week with my local garage to get the tyres changed, since they were – i admit! – quite run-down. after only 13000 kms, the tyres which were with us in india finally are ready to be changed – literally! i attempt to temporarily fix the problem by filling it with instant tyre repair. what a mess! the fluid pours out of a huge gash. 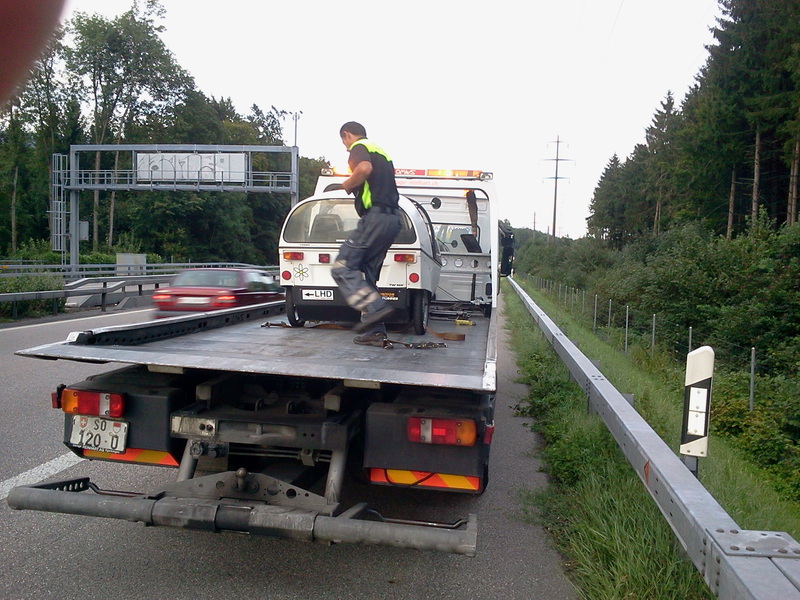 time to call roadside assistance. 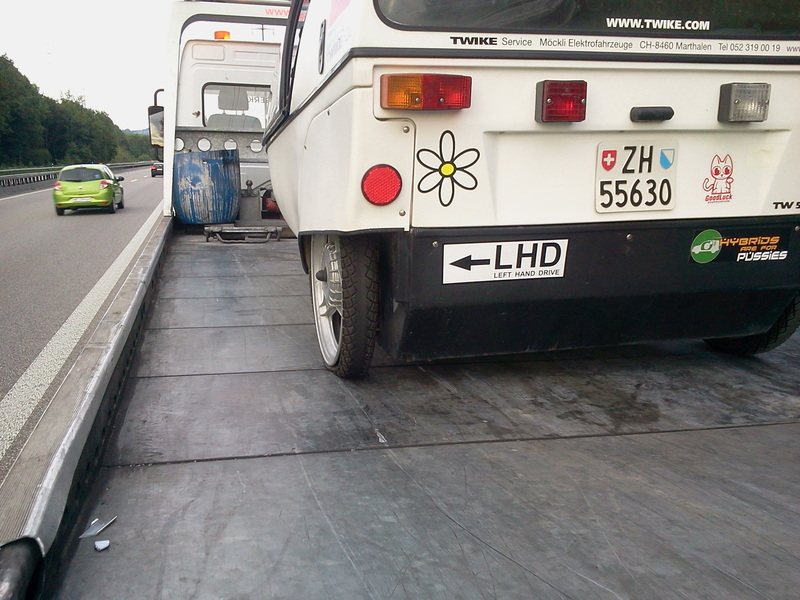 with great efficiency the TWIKE is pulled up the ramp. then, after being strapped-down, we’re ready! after another 30 mins, TW560 is parked at a collection point for transport onwards to the garage for a slightly earlier tyre change than planned! i get to take a train back home and arrive there much later than planned.